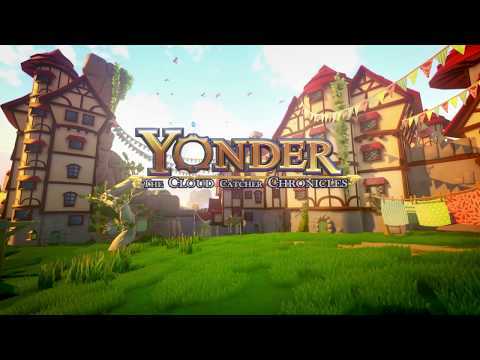 Yonder: The Cloud Catcher Chronicles was released on PS4 642d ago in the US and the UK. Based on 6 Yonder: The Cloud Catcher Chronicles PS4 reviews, Yonder: The Cloud Catcher Chronicles gets an average PS4 review score of 69. The score for all versions is 70 based on a total of 16 reviews. Yonder is the nicest, and yet most deeply transgressive game we’ve seen in our little section of the art world, for quite some time, if not forever. A few things hold it back, but the heart and soul of the entire package is not to be denied on its way to success. Yonder: The Cloud Catcher Chronicles is a delightful little game that can appeal to players of all ages and skill levels. Much like the fauna that inhabits its world, Yonder: The Cloud Catcher Chronicles is a beautifully odd creature. One cannot comprehend who Yonder: The Cloud Catcher Chronicles is meant to serve.